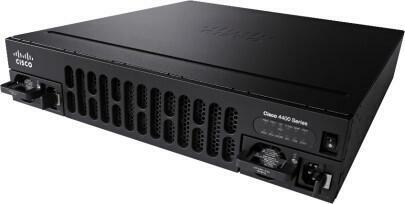 In the last article, we talked about the ordering guide of Cisco 4000 Series ISR. We introduced the Cisco 4000 Series IRS Family Platforms and Part Numbers, Power Supply Options, the memory type and part numbers, and Cisco 4000 Flash Memory. The default accessory kit does not include any Category 5 RJ-45 Ethernet cables or cables for the router console or auxiliary port. You can order the console and auxiliary cables as an option during router configuration or as spares. You may order the 23-inch rack-mount brackets, blank faceplates for module slots, and slot dividers as spares. Opacity shields are not required for the Cisco 4000 product family, as the router ships with a solid cover and the router interior is not exposed. The following table lists the part numbers for cables, rack-mount brackets, blank faceplates, and storage drives. In addition to the accessories above, the Cisco 4000 Series ISR family also supports numerous interface modules, which you can find at https://www.cisco.com/c/en/us/products/routers/4000-series-integrated-services-routers-isr/relevant-interfaces-and-modules.html. Cisco ISRs deliver innovative technologies running on the industry-leading Cisco IOS Software network operating system. ● Universal images with universalk9 in the image name: This universal image offers all the Cisco IOS Software features, including strong payload cryptography features such as IP Security VPN (IPsec VPN) and Secure Unified Communications. ● Universal images with universalk9_npe in the image name: The strong control of encryption capabilities by Cisco Software Activation helps meet U.S. export control requirements for cryptography. However, some countries have import requirements that require that the platform not support any strong payload cryptography. To satisfy the import requirements of those countries, Cisco allows you to order the router with an Non-Payload Encryption (“NPE”) universal image. The NPE image does support security features such as zone-based firewall and intrusion prevention through the SECNPE-K9 license. By default, you will need to select an IP Base license. You can order the routers from the factory with technology licenses preinstalled, using the paper license part numbers (those that start with the keyword SL). Alternately, if you plan to deploy the advanced technology features later, you may order the required licenses as spares. You may order spares for technology licenses as paper licenses or e-delivery licenses (those that start with keyword SL). 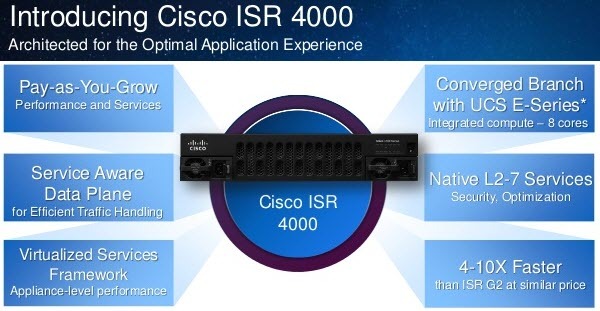 How to activate the advanced security features offered on the Cisco 4000 Series ISR platform? You can use the security licenses in the following Table. You may order these part numbers only for the universal image that supports payload cryptography. For activating security features on the universal image with no payload encryption, the security license part numbers are unique. The Unified Communications license is used to activate unified communications features on the Cisco 4000 platforms. You can use the Application Experience licenses in the table below to activate the application experience features offered on the Cisco 4000 product family. The Cisco 4000 Series ISR family also offers a wide variety of feature licenses for unified communications functions, such as Cisco Unified Communications Manager Express (Unified CME), Survivable Remote Site Telephony (SRST), and Cisco Unified Border Element (CUBE). You will need these licenses, in addition to the technology license, for a given solution deployment.